This article is dedicated to sugarcane, because we all want more sugarcane in Minecraft. 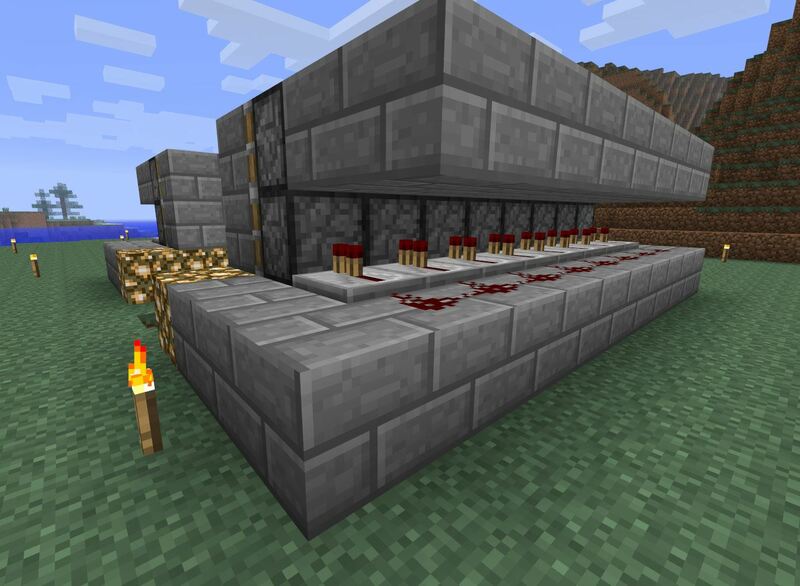 The best way to generate sugar cane is with an automatic reed farm that uses pistons and redstone. The pistons push the canes into the water canal you'll build, then delivers them to the collection point at the end of the canal. Check out the detailed video instructions below to follow along, or skip down to the step-by-step written instructions, if that's your thing. 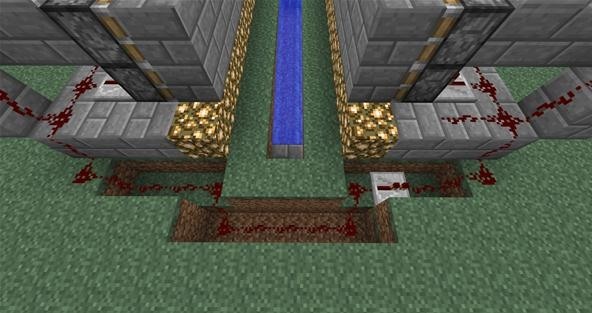 But make sure to check out the end for the finale video of what this sugarcane farm is capable of! 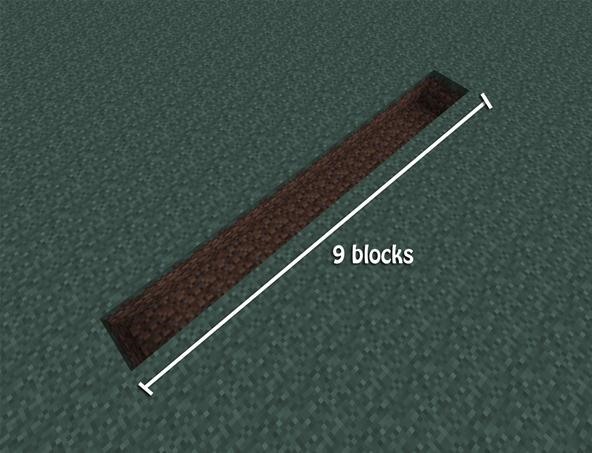 Dig out a hole that is 9 blocks long and 1 block deep. Add one bucket of water to the back of the 9-long hole. 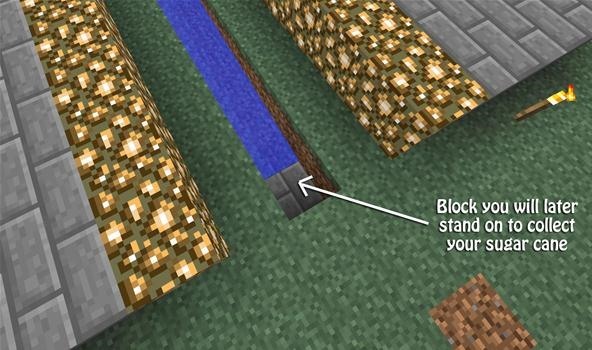 You will notice the water stops 1 block before the end, which is a good thing! Of course, we need lots of light so that our sugar cane will grow to great heights. 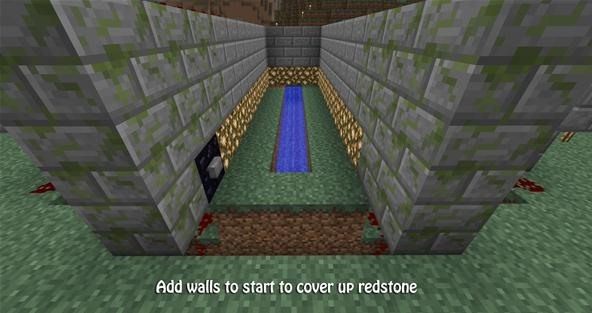 So, surround the two sides and back with glowstone. 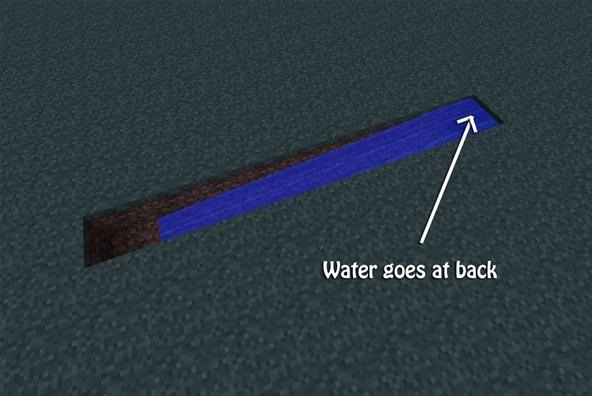 The glowstone should be 1 block away from the water on the sides—and right up against the water at the back. Make a 3x9 platform on the left and right side of the glowstone. The platform will be 3 wide (from left to right) and 9 long (from front to back) and will only be 1 block tall. 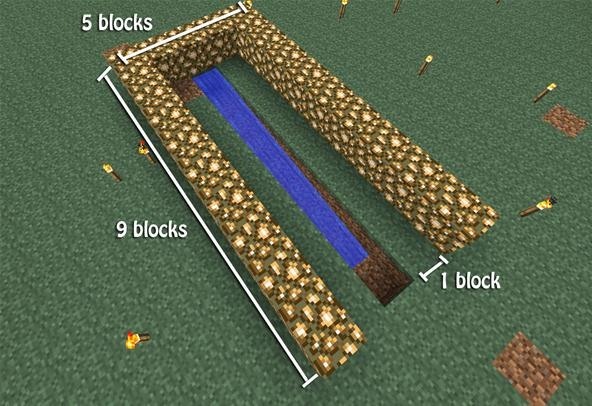 Feel free to change the block that is next to where the water flow ends, as this will be where you stand to collect your sugar cane in the future. You will need 16 total sticky pistons for this step. Align 8 sticky pistons one block behind the glowstone, and make sure they are facing the water (facing inwards). 8 sticky pistons will go on each side (left and right). 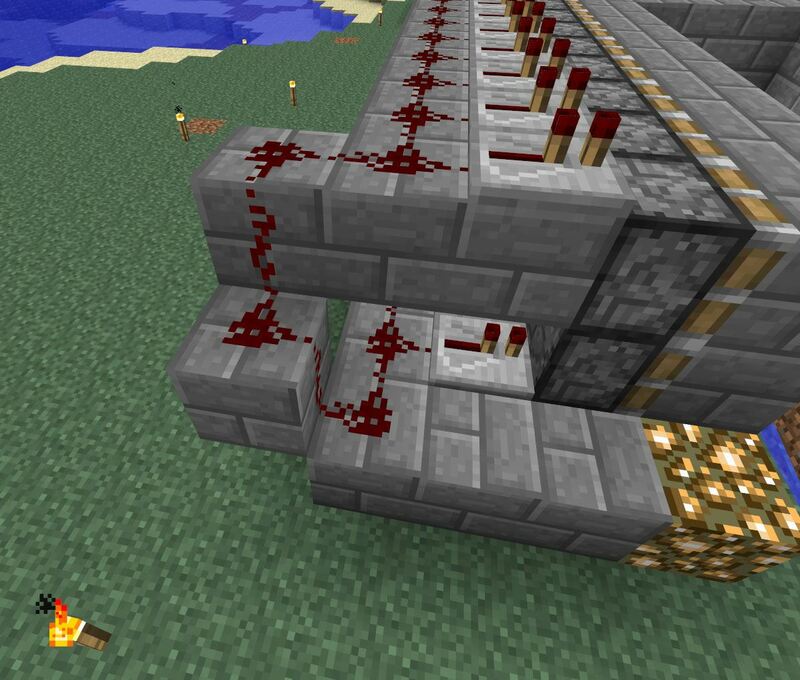 Do the exact same thing you just did in Step 5, so that the sticky pistons are now 2 blocks tall. 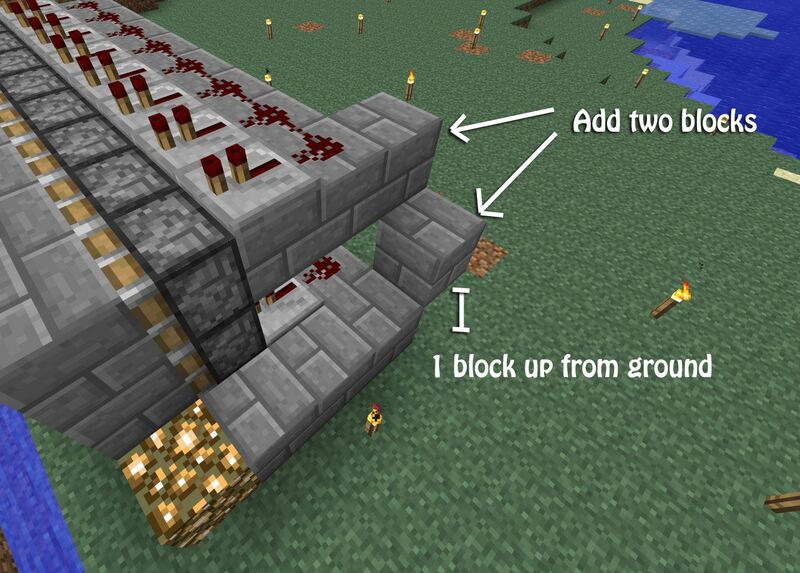 You should have a total of 32 sticky pistons placed. 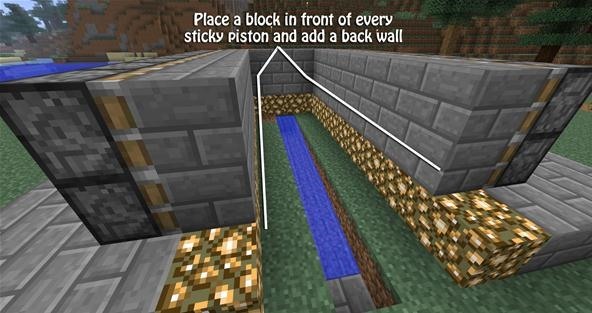 You do not need sticky pistons beside the hole you will stand in to collect the sugar cane. 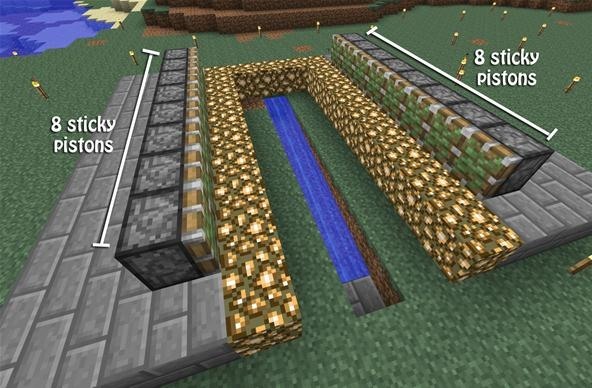 Take the type of block you will be using to cover the sticky pistons. I used sticky pistons in mine, but you can use whatever you prefer. 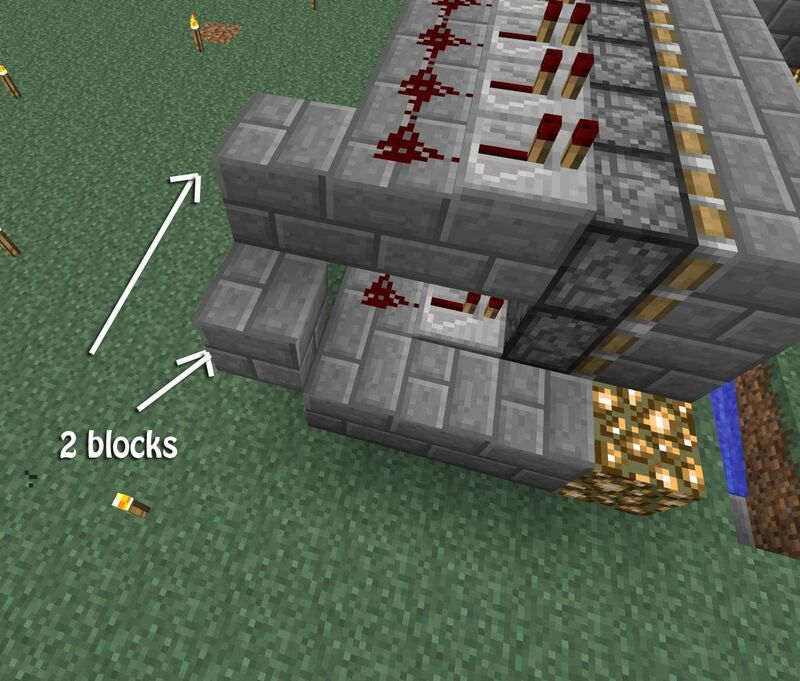 Place the blocks in front of the sticky pistons on the inside so that it completely covers the inside of the pistons. 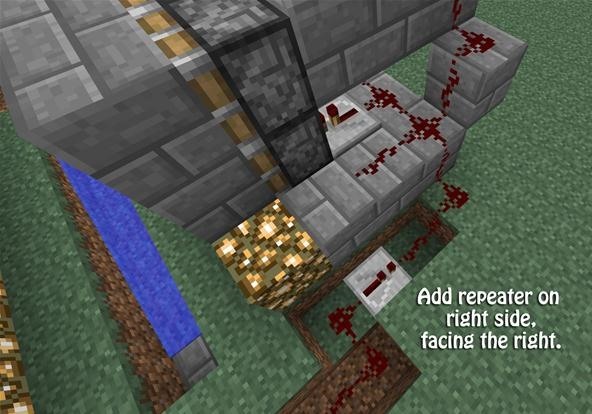 Place 8 repeaters directly behind the bottom level of the sticky pistons. Repeaters will need to face the sticky pistons and do not need a delay. Do the same for the other side! 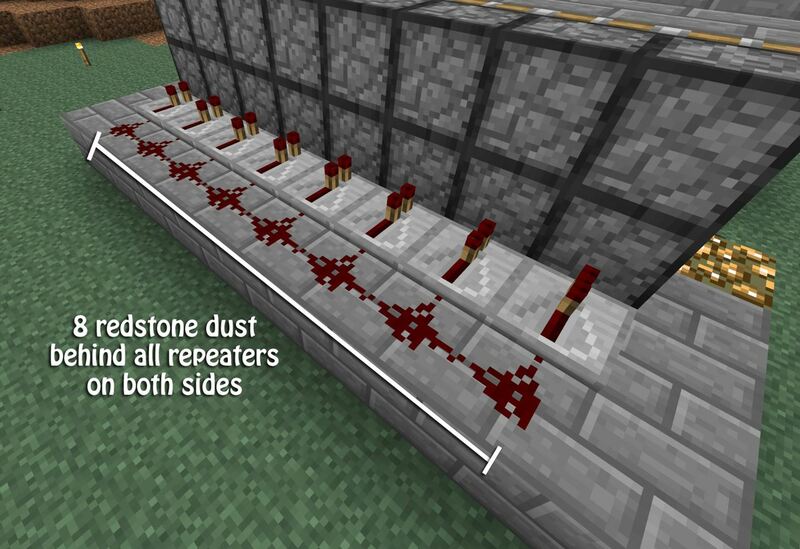 Connect all the repeaters with redstone dust. Do the same for both sides, and don't worry about anything else right now. 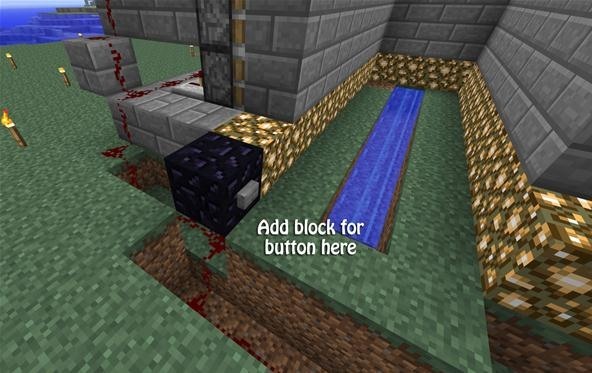 For this step, all you need to do is put a block in front of every single sticky piston. 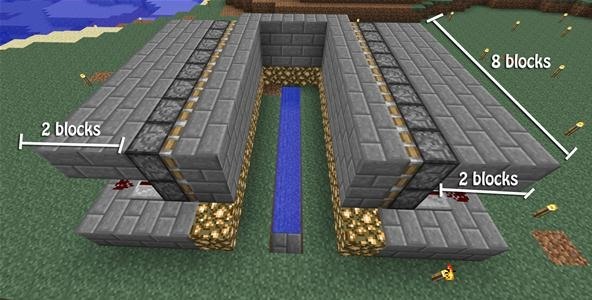 These are the blocks that will break your sugar cane for you later on! Make a 2-block wide platform off the back of the sticky pistons on the top layer. For the next step, we will have to do both Step 8 and Step 9 all over again for the top level to connect the sticky pistons at the top. 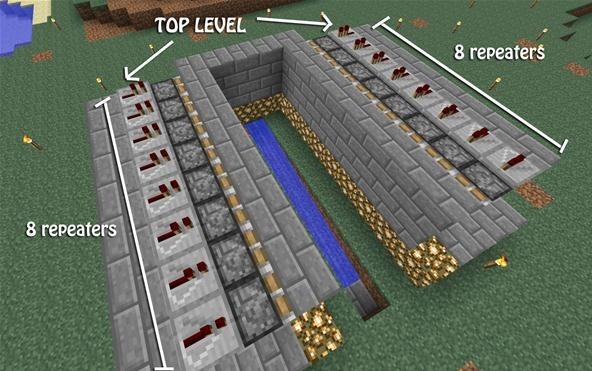 Place 16 total repeaters on the top level of the project; all repeaters should be facing the pistons they are directly behind. 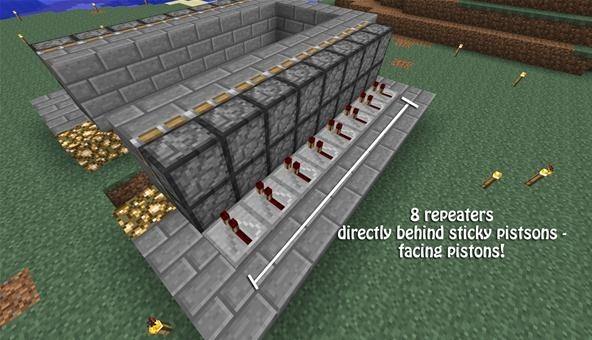 Connect all 8 repeaters on each side with redstone dust. 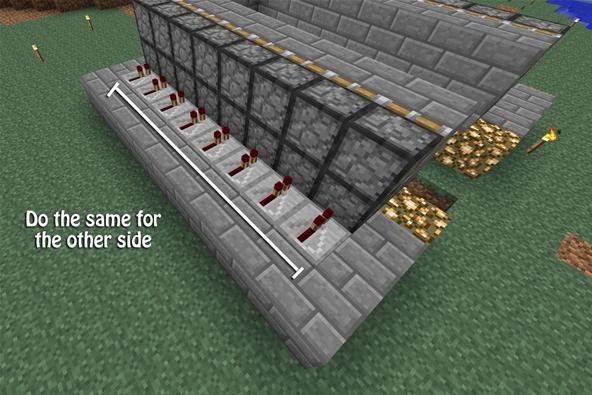 This step is super simple, as all we're going to do is connect the wiring from the top level to the wiring on the bottom level. To do this, you will only need 2 blocks on each side (left/right). 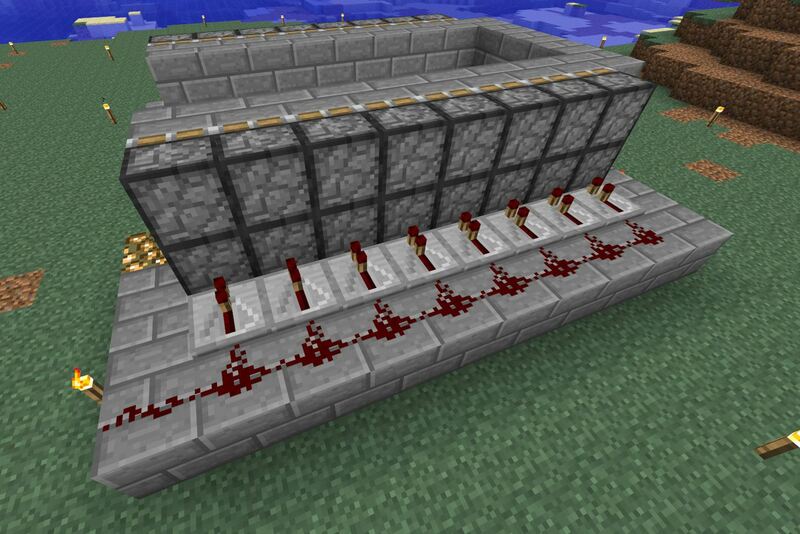 Lastly, add redstone dust to the two blocks you just placed. This will connect the top level of wiring to the bottom! Pick a side, say the left side of the device. Go to the glowstone, and dig out the grass directly in front of the glowstone block. 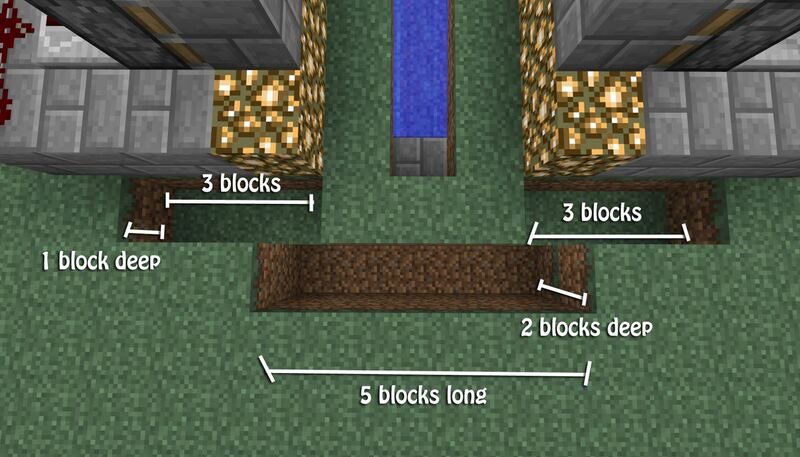 Go to the left and break two more grass blocks for a total of 3 blocks, but it will only be 1 block deep. Do the exact same thing for the right side. 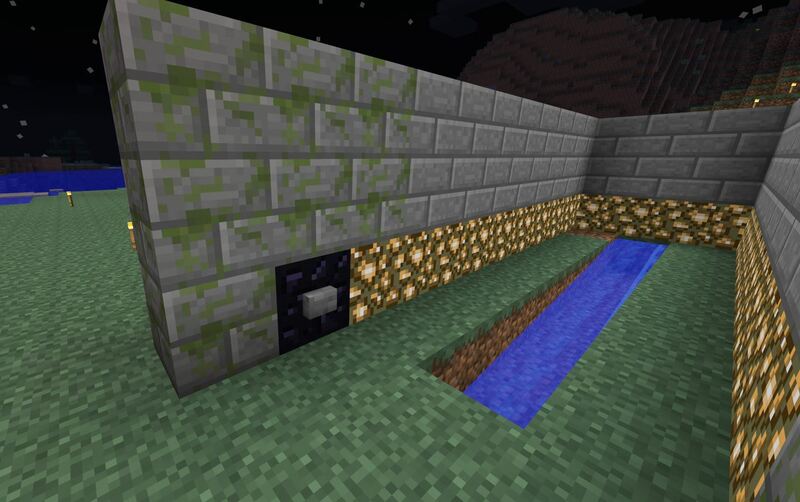 Start at the glowstone, break the grass block in front of it, and break two more blocks to the right. Next, break a 5-block long hole that connects to the front of the holes you just made. This 5-long hole will need to be two blocks deep. 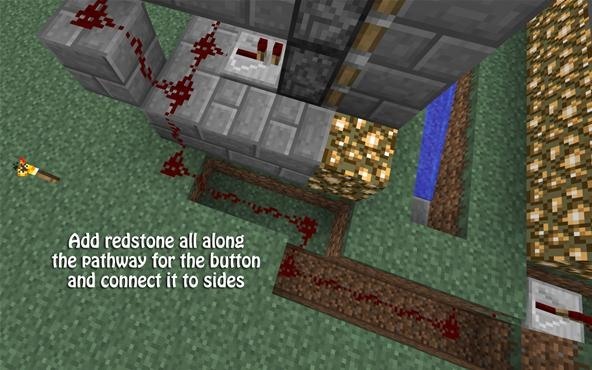 Take redstone dust and connect the left side just like it's shown in the image below. 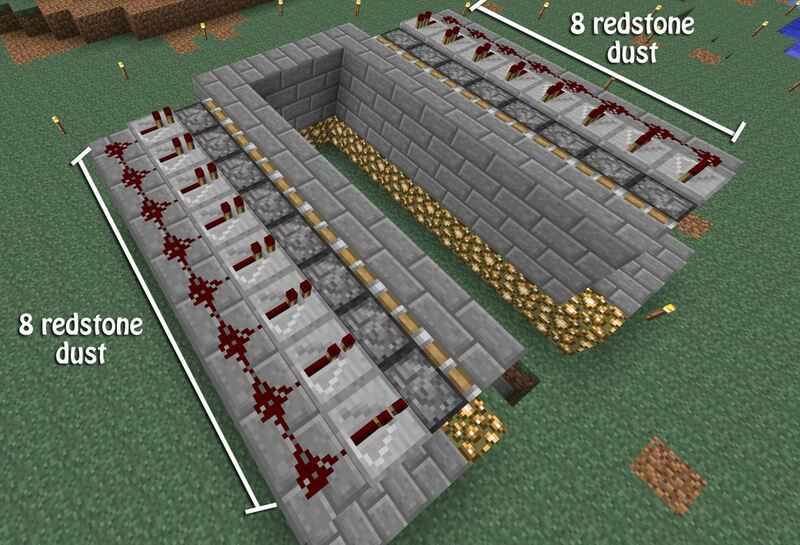 The redstone dust should continue all the way to the right side, placed the exact same way on both sides. On the right side, the 2nd block (in the middle) should be a repeater. This repeater does not need a delay, and it should be facing to the right to ensure the power from the button flows through it. Step 16 Add Your Button! On the left side of the device, you will need a button. 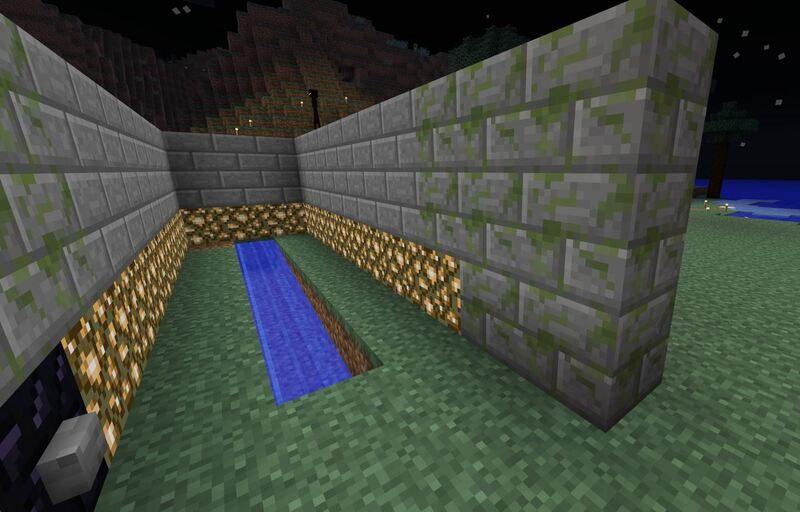 I chose to place mine on the same level as the glowstone, with the button facing the center of the device. See image below! 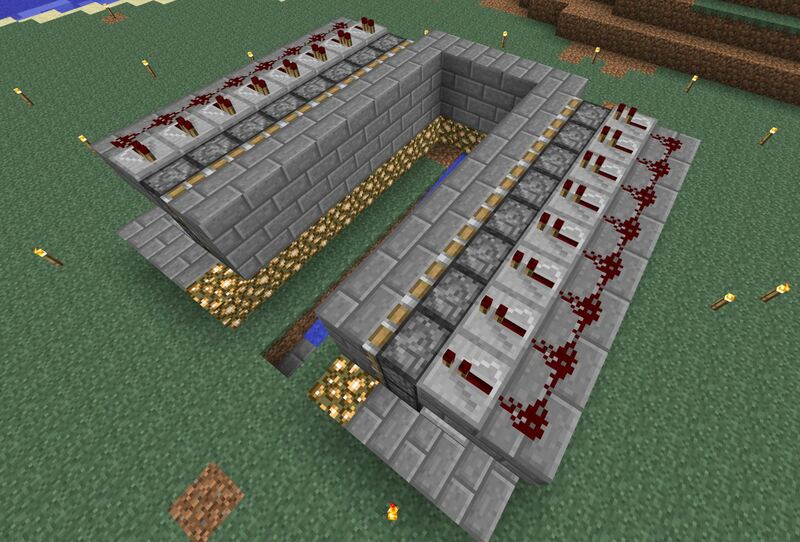 Add the walls and the grass so that your redstone wiring is hidden. You can take your time on this part to ensure the design meets your criteria, or you can finish it up quickly to test your device! 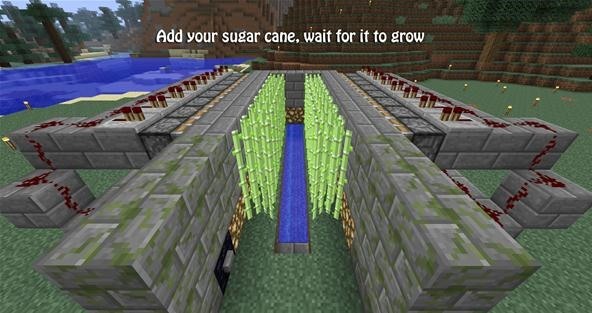 Add your sugar cane, or you can be legit and wait for it to grow. But for the first time, you should probably just place the sugar cane yourself to make sure everything works as planned! GO! 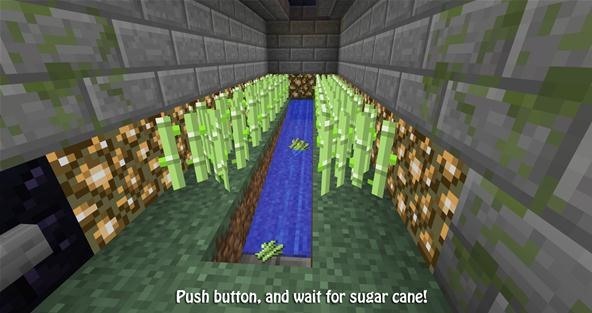 Push the button and jump for joy as your sugar cane flows towards you! 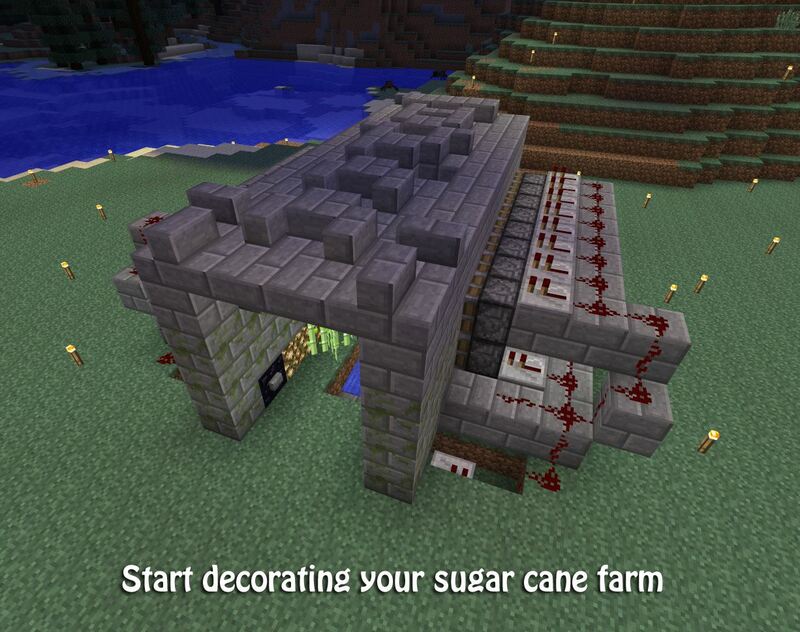 Finish up the design work of your sugar cane farm. 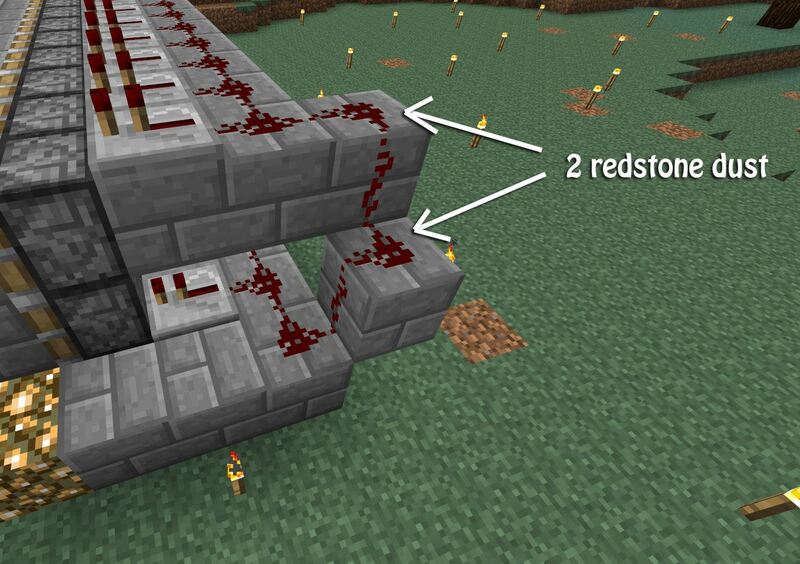 You can even add a second level of sugar cane if you've got the hang of the redstone! Now that you've got one layer done, you can build more layers of sugarcane auto farmers. 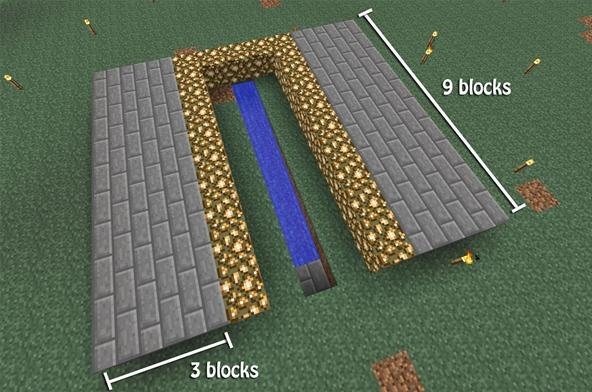 In order for them to work, you just need to make sure you're within the 7 chunks or 120 blocks. Do you have experience with automatic sugar cane farms? If so, what method do you use? I was going to say there's an easier way but then I remembered it only works for wheat. But I have a question. 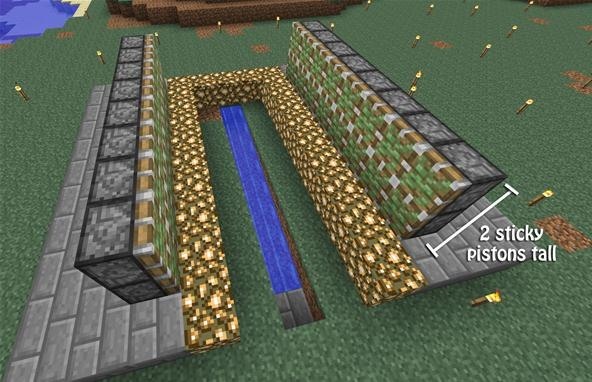 Instead of the two layers of wall (that push the sugarcane) why not just have one? Won't breaking the middle one also break the top? It does! But... the sugar cane tends to get stuck at the top. So we made two levels to prevent that from happening!